I used to work at Macy’s in downtown Miami. I worked in the buying department at the corporate offices located on the fifth floor. It was invigorating, inspiring and a true merchant’s paradise. The store drew people for its fashion trends, its ambiance and superb customer service. Fifteen years ago Macy’s downtown was the fashion hub for the area, but the store closed the doors in early 2018 — another big box retail victim. Peeking through the windows, all you can see is leftover fixtures and debris. All that is palpable is a permeating sense of loss. 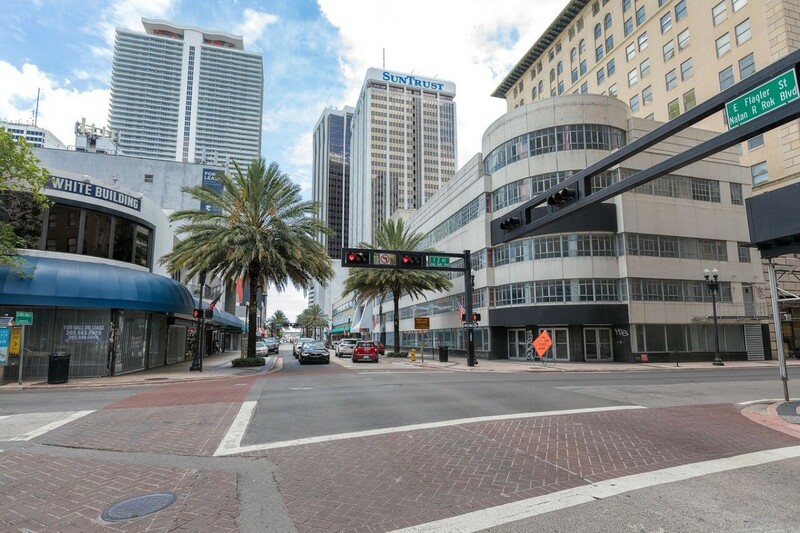 Flagler Street. Photo by Niels Johansen. This got me thinking about our neighborhood. What is the status of retail close to the heart of Flagler? While out for a Sunday stroll, I passed by a few successful-appearing storefronts, including Supply & Advise. But the retail business has also claimed some juggernauts. I can think of other landmarks that didn’t make it, the long-time fixture La Epoca, for example. Are these just trends representing the vicissitudes of the business or do these closings speak to something more nefarious at play in the economy of downtown Miami? As a retail consultant, I tend to think of traditional economic indicators like GDP, P/E ratios and consumer confidence to determine the economic pulse. But how do you apply these indices to a small area like downtown? Another interesting perspective might be to use non-traditional economic metrics. Let’s have some fun with this. Did you know that fashion trends such as hemline length, lipstick and heel height have played a role in characterizing our economic health? It is worthwhile to drill down on these concepts as they not only illuminate economic cycles, but also tell something important about ourselves. Economist George Taylor first proposed the hemline index theory in the 1920s. He was part of the vanguard in effectively establishing a positive correlation between women’s fashion and the economy. 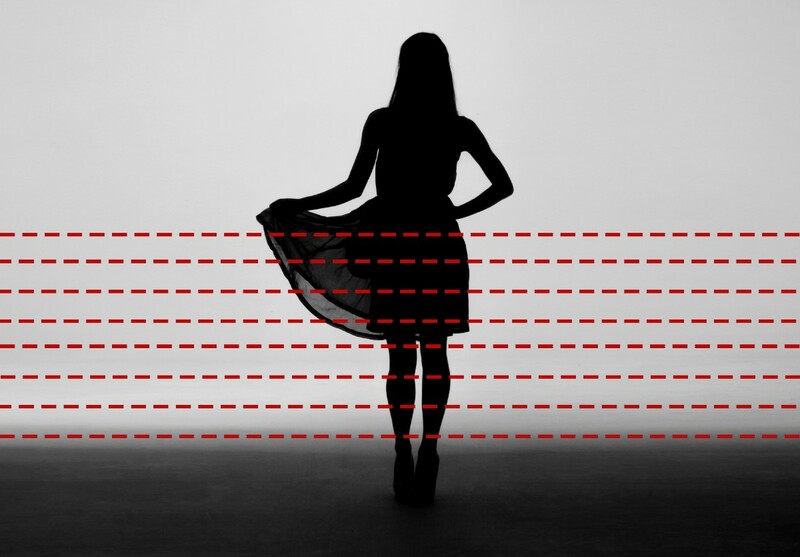 Simply stated, hemlines became shorter when the economy was bustling and longer during an economic downturn. Taylor’s findings suggested that in good economic times women could afford higher ticket items such as silk stockings and wanted to show them off by wearing shorter skirts and dresses. Longer hemlines covered the fact that women weren’t wearing stocking or they couldn’t afford them. 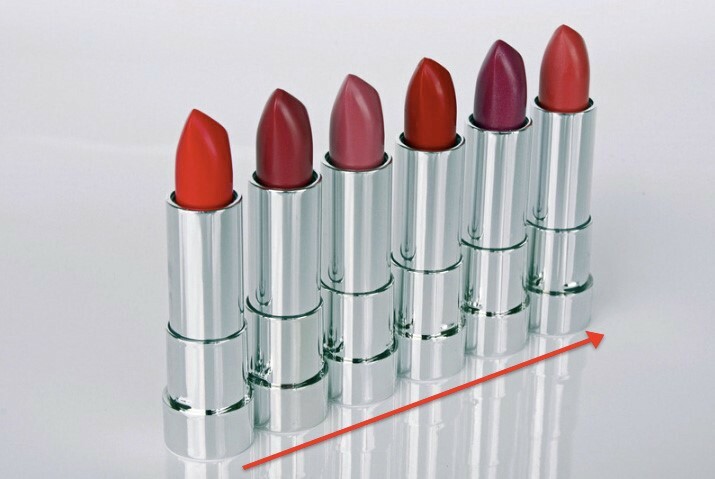 The lipstick effect is the idea that in tough economic times the sales of lipstick rise. The justification is that the consumer can no longer afford their big-ticket luxury items such as coats and bags so they shift their purchasing direction to smaller items. This behavior has less of an impact on disposable income while still making the consumer feel like they are indulging in luxury. First proposed by Leonard Lauder, the chairman of Estée Lauder Companies, the lipstick effect came about when Mr. Lauder noticed that post 9/11 sales of lipstick as a category soared. His conclusion was that during an economic downtrend women are more inclined to purchase lipstick as a morale booster. Maybe the ladies were taking a queue from Elizabeth Taylor’s famous quote: Pour yourself a drink, put on some lipstick and pull yourself together. Shoes, shoes, shoes. Every woman wants a bigger collection. The high heel theory states that in a bad economy shoe high heels rise as a way for women to feel more powerful and escape their reality. Based on a Huffington post article from November 2011, at the height of the economic crisis in 2009, the median height of women’s heels peaked at seven inches. 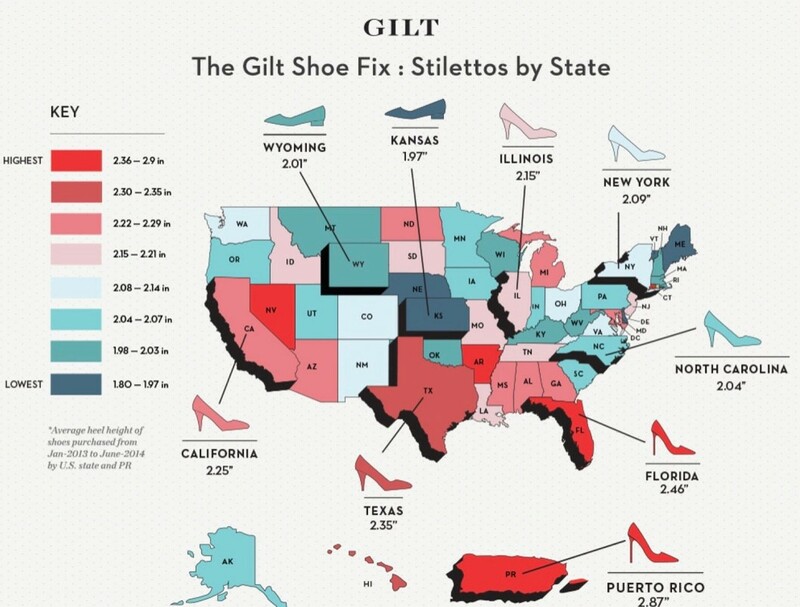 For those unfamiliar with the stiletto, the chart below denotes heel height preference by state. Puerto Rico tops the list with a heel height of 2.87”. While these non-traditional economic indices are not perfectly supported by the financial intelligentsia, looking through this lens can be amusing. It is also a whole lot easier than painstakingly interviewing all the retail stores and many of the consumers in our neighborhood. Current fashion trends in NYC, Milan and Paris show enough long dresses, short shorts, midi skirts, long pants, culottes, high heels, kitten heels and flats as to deflate the hemline index and heel height theory at once. Given the power of social media and celebrity endorsements we are keener in believing that retail performance is driven by the style du jour and celebrity endorsements rather than true economic hardship or ebullience. I also do not believe that we have any reason to be concerned about the economic state of our neighborhood. It is vibrant and growing steadily and sustainably. The struggle of retail in our downtown may be due to the limited size and scope of this newly minted area. I am encouraged by the growth of other sectors that are continuously expanding. Take for example the opening of highbrow restaurants like Novikov, the ability of Ceviche 105 to continually pack the house, and plans for the much-celebrated Waldorf Astoria tower. Yes, there is definitely no recession here. However, if some of the slick bankers and financial analysts who work in our neighborhood start to don the perfect trifecta of long hemlines, red lips, and skyscraper stilettos don’t say I didn’t warn ya. If you liked this article, please share it. For more news and current analysis, visit and like our Downtown NEWS Facebook. Matilda Kalaveshi MBA, is the founder of EMP Retail Consulting and DNA Vice President.